This weekend, several high school baseball teams will descend on Petco Park for a taste of big league action as part of the San Diego Section’s alliance with the Padres. Three prep contests are scheduled to take place on Friday, April 20, with three more contests slated for Saturday, April 21. Chula Vista and Hilltop high schools will take the field Saturday at 10 a.m. for an official Mesa League game. It will be the second time each team will have played at Petco Park. Both teams are understandably excited about the upcoming matchup. “It will be an experience — the first time and probably the only time that a lot of these players will get,” Hilltop head coach Kurt Gritts added. 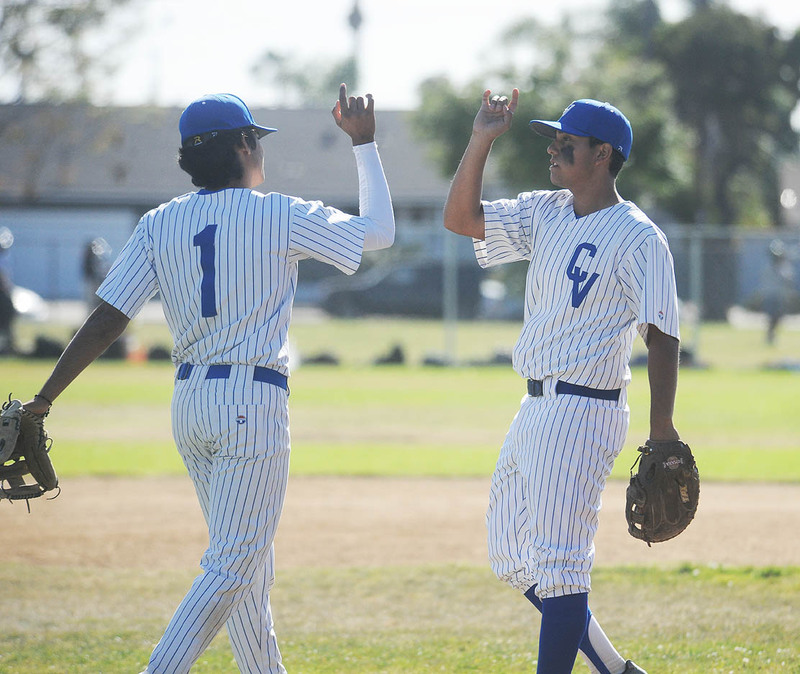 The teams warmed up for Saturday’s game on Tuesday as host Chula Vista edged Hilltop 4-1. Antonio Garcia spun a complete game three-hitter, striking out three batters, to lift the host Spartans to their third league win against two losses to start the season. 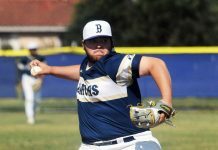 He improved to 2-0 in league play after previously hurling a complete game shutout in a 1-0 win over visiting Bonita Vista on April 9. 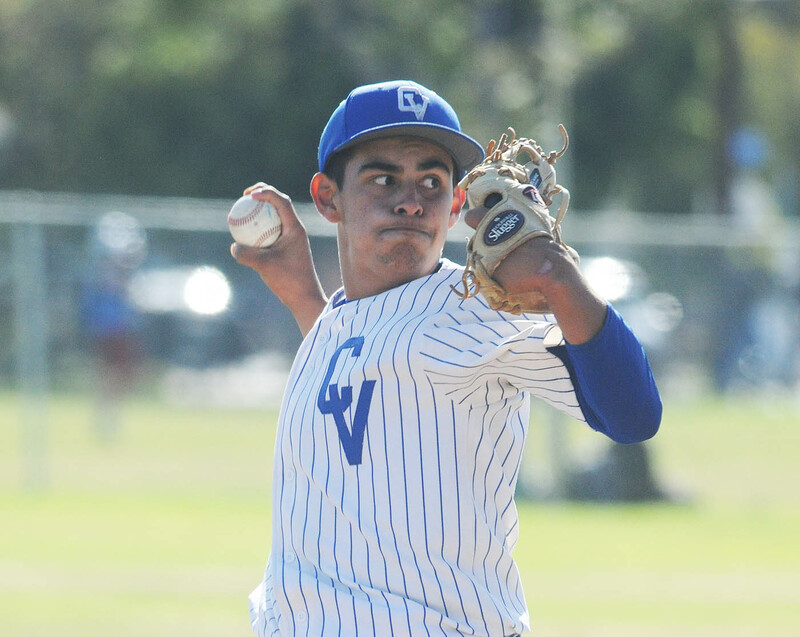 Garcia was the winning pitcher in last year’s San Diego Section Division IV championship game as Chula Vista won its first CIF title in the modern era of the school’s long history. The Spartans return eight players off last season’s Division IV championship team. Westlund said the team goal this season is to be competitive in the move up to the Mesa League and Division III playoffs. “I think making the playoffs and being competitive in the Mesa League are goals for us,” said Westlund, whose team evened its overall record at 10-10 following Tuesday’s win. “The Mesa League is a much tougher league. We’d like to be competitive with everybody. Chula Vista scored one run in the bottom of the first inning as Bobby Lopez doubled and was singled home by teammate Jorge Lucero. The Spartans added two more runs in the third inning as Alex Celiceo walked and scored on a double by Lucero. Eric Ordonez then scored Lucero with a base hit. Chula Vista scored its last run in the fourth inning. Lopez drew a walk. Rafael Iribe followed with a double. Celiceo then hit a sacrifice fly to score Lopez. Hilltop sent six battlers to the plate in the top of the seventh inning to score its one run. Joey Castillo came home on an infield error on a hard hit ball by Evan Moreno. Michael Marroguin started the game, pitched three innings and took the loss for the Lancers while Andrew Pantoya pitched three innings in relief. 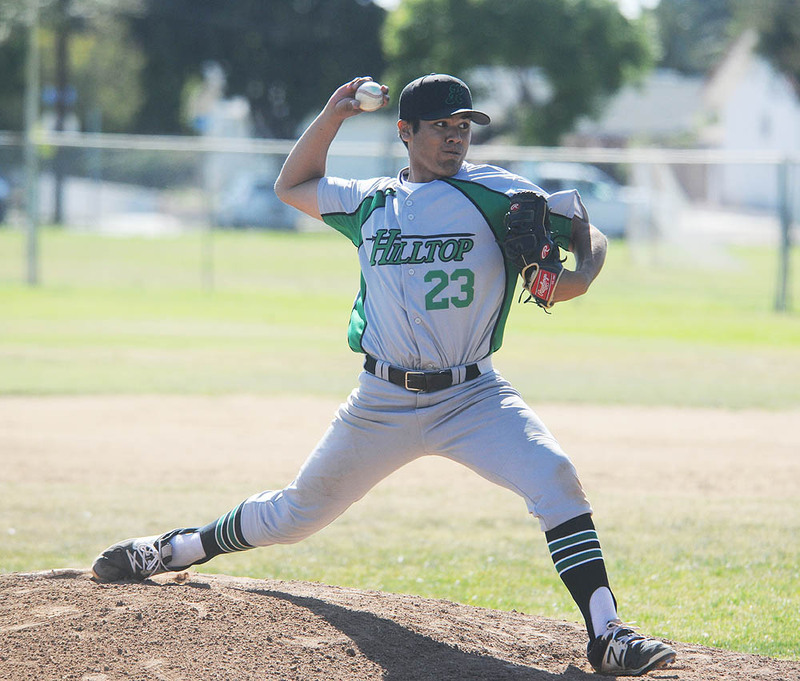 Pantoya picked up the win in Hilltop’s 6-5 win over Otay Ranch in the teams’ league opener on April 9. Ryan Major scored the game-winning run. The Mustangs shut out the Lancers, 1-0, in the teams’ return matchup. Mike Artelejo pitched the complete game victory for Otay Ranch while Amari Riley scored the game’s only run. 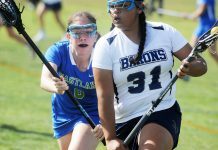 Both Chula Vista and Hilltop competed in the recent 144-team Lions Tournament. The Spartans defeated Sweetwater, 3-0, for their only win in three pool games (4A Division) while the Lancers defeated McClatchy (Sacramento), 3-2, to record their lone pool victory (3A Division). “We have had an up and down beginning to our season with some significant wins — 7-5 over St. Augustine on March 8 and 3-2 over University City on March 6 — along with a few heartbreaking one-run losses,” Westlund explained. “We are getting stronger each day because we are playing one of the toughest schedules in the county, which we hope will help us in league and the CIF playoffs again. Friday’s slate of prep contests included Ramona against Valley Center at 1 p.m., followed by Mission Hills against Oceanside at 4 p.m. and Brawley against El Centro Southwest at 7 p.m.
Saturday’s other two games are Hoover against Kearny at 1 p.m. and Maranatha Christian against Santa Fe Christian at 4 p.m.
Tickets are $20 each, with a portion of each sale serving as a fundraiser for the teams. Tickets are good for all games that day as well as the Padres-Reds game on June 1.